Every day, our skin faces innumerable pollutants brought about by urbanization—from dangerous nanoparticles that are 20 times smaller than pores and easily infiltrate the layers of our skin, to increased UV exposure by up to 85% through electronic devices, and oxidative damage that causes skin to degenerate; our skin has been taking a beating, and the effects are taking a toll on our complexion. The human skin is simply not designed for the world we live in today. Now, more than ever, we need an expert solution to help our skin cope with and thrive in these changing times. 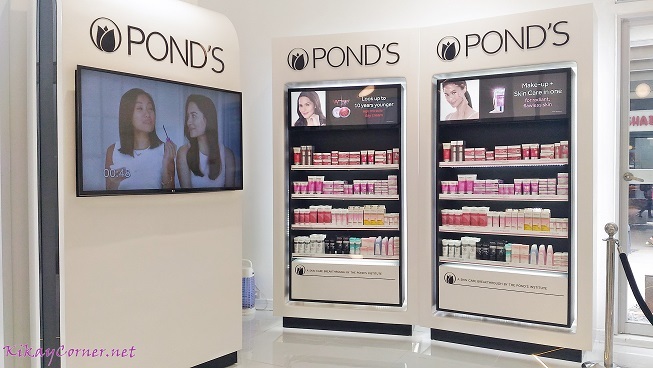 As the skin care leader, Pond’s offers Filipinas a wide range of products to battle the changing environment. 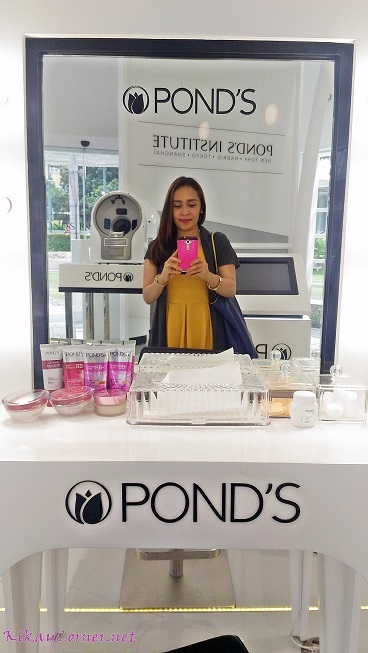 Women can fight aging caused by oxidative damage and look up to 10 years younger with Pond’s Age Miracle. 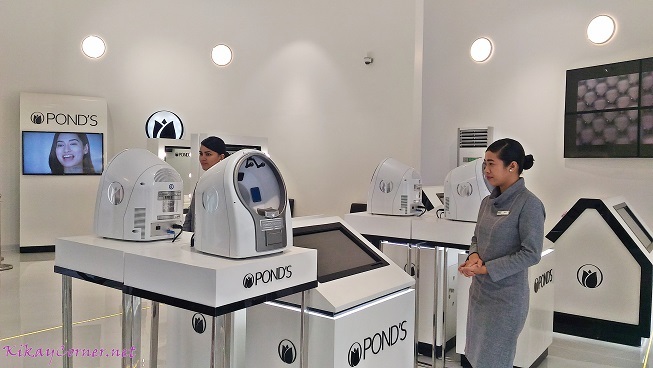 Infused with the gold standard in anti-aging, retinol, and combined with AHA, CLA and retinol boosters, Pond’s Age Miracle makes skin more elastic and increases collagen renewal, despite the damage from pollution. 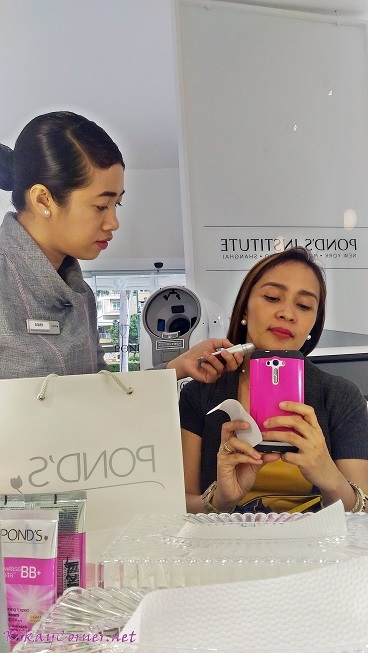 Pond’s Beauty Adviser, Tricia, working on my Y-Contour (jawline and neck) with Pond’s Age Miracle Firm & Lift. 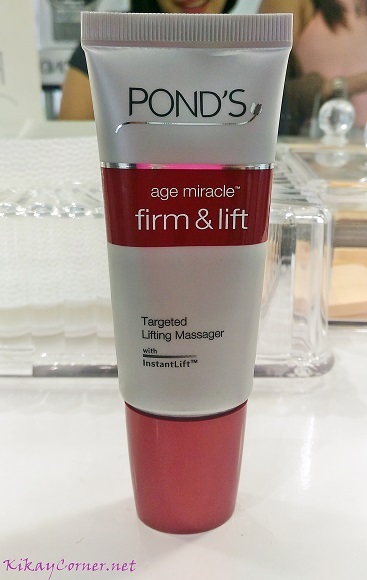 Pond’s Age Miracle Firm & Lift Targeted Lifting Massager is designed to regain youthful-looking skin where it really matters – on your jawline and neck – the Y-Contour. 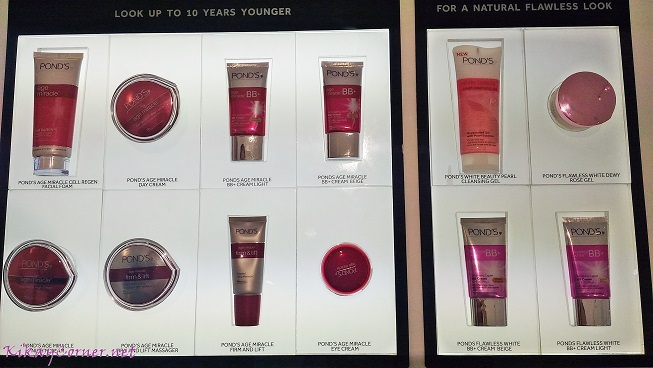 Pond’s Age Miracle Firm & Lift strengthens skin fibers from deep inside, for a firmer, lifted Y-contour on the outside. 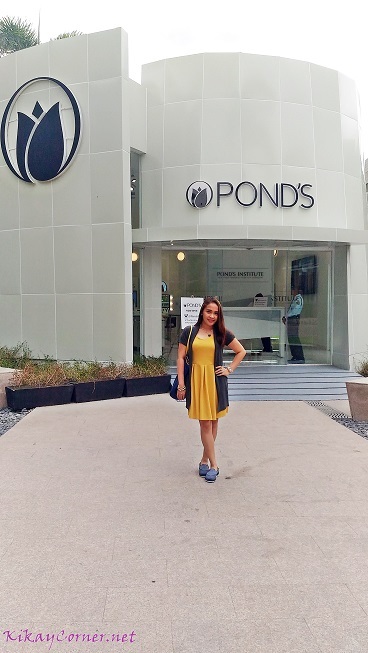 Reduce sagging by up to 35% with the powerful combination of Pond’s anti-aging technology, 6 powerful anti-aging actives and the revolutionary InstantLift™ Complex. 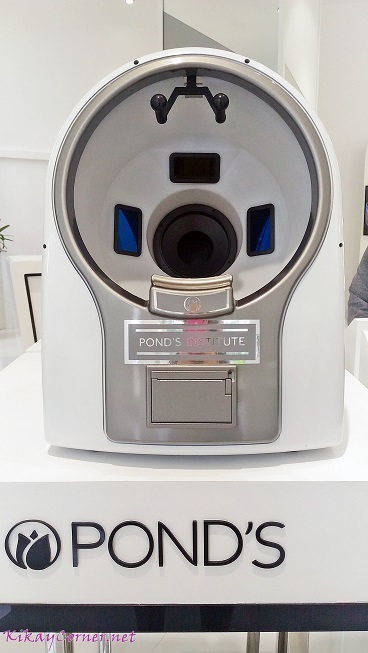 Combat both UVA and UVB rays and normalize pigment transferring in the skin while delivering lightening and brightening effects from the cellular level with Pond’s White Beauty. 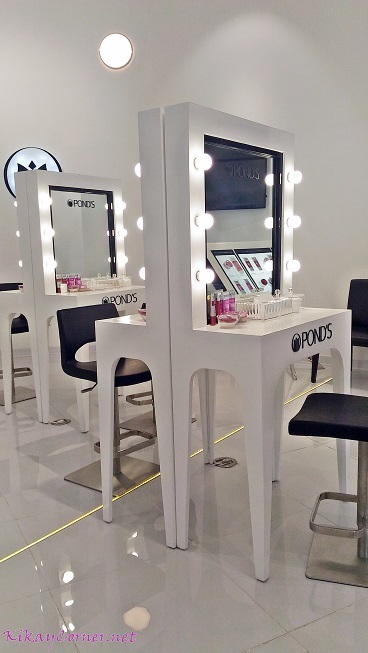 With its key ingredient pro-vitamin B3, Pond’s White Beauty prevents dark spots from occurring, while lighting up millions of skin cells. Its day cream also features an advanced SPF 15 PA++ formula that gives the recommended sun protection you need throughout your day. 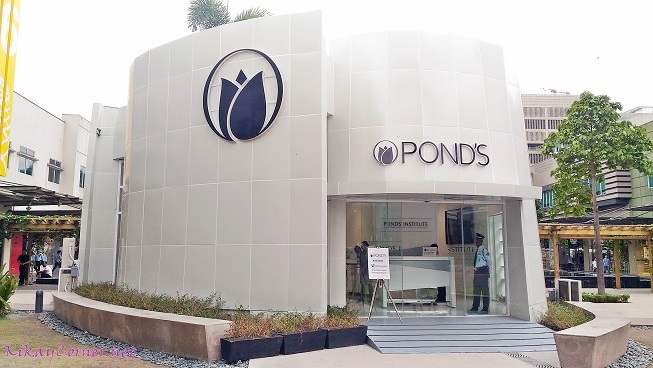 Learn more about skincare, consult the experts as they address our beauty concerns and on how to future-proof our skin with #TheSkinExpert, Pond’s Institute, located at 5th Avenue Bonifacio High Street, Bonifacio Global City, right smack Fully Booked and Serendra.